Lynden is the second largest city (population 10,820) in Whatcom County. 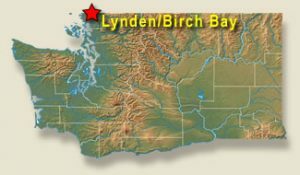 Named and established in 1874 on the site of the Nooksack Indian village Squahalish (Nooksack: Sqwehálich), the town of Lynden began as a pioneer settlement headed by Holden and Phoebe Judson and is today home to one of the largest Dutch American communities in the nation. The town lies in a broad valley along the winding path of the Nooksack River, which empties into nearby Bellingham Baa. The surrounding area is filled with dairy, raspberry, strawberry, and blueberry farms. The region saw significant Dutch immigration in the early and mid 1900s, spurring the growth of dairies. Family Medicine; Michigan State University graduate; Michigan State University College of Human Medicine; St. Vincent Health Center Family Practice Residency, Erie, PA.
Dr. 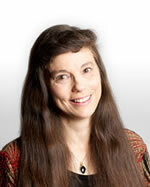 Burden has been a physician in Lynden since 1990. She and her husband, Tony have 6 children and enjoy camping, hiking and the various activities the kids are involved in. Hospital Rounding: Family Care Network (of which we’re a part) has its own hospitalist service and several of the Ferndale doctors participate. Consulting Specialists: Many specialties are available in Bellingham. Patients are occasionally referred to even larger community such as Seattle. 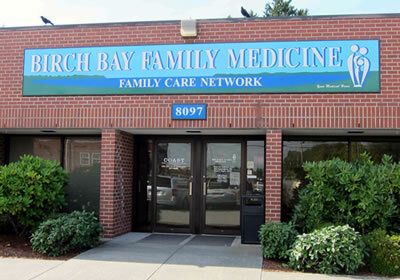 Lynde Clinics: Lynden Family Medicine is located at 1610 Grover Street, Lynden. We practice full spectrum family medicine through all stages of life including family centered maternity care. As part of FCN, we are actively becoming a medical home for our patients. Hospital: Lynden is served by PeaceHealth St. Joseph Medical Center in nearby Bellingham. PeaceHealth St. Joseph Medical Center and PeaceHealth Medical Group in Bellingham provide comprehensive and specialty care for the communities of Northwest Washington. Highly trained caregivers are committed to providing safe, evidence-based, compassionate care to every patient. They are a not-for-profit organization founded in 1891 by the Sisters of St. Joseph of Peace, who continue today as sponsors of the PeaceHealth system serving communities in Washington, Oregon and Alaska. The medical and technology resources of PeaceHealth combined with the caring atmosphere of a community hospital ensures patients receive exceptional medicine and compassionate care. Our dedicated physicians and staff have earned PeaceHealth St. Joseph recognition as a 100 Top Hospital in America and as a top-ranking facility for patient quality initiatives in Washington state. Here’s a direct link to “Fast Facts” on the hospital. We continue to follow our patients when they require care in a nursing home and have many patients in nursing homes and assisted living facilities throughout Whatcom County. Bellingham International Airport (BLI) is a full service commercial airport located in Whatcom County, approximately 3 miles N.W. of Bellingham City limits. With magnificent natural scenery, skiing and snowboarding at Mt. Baker, hiking, arts and theatre, charming villages and water adventures like whale watching, Whatcom County is a unique area of Washington State. 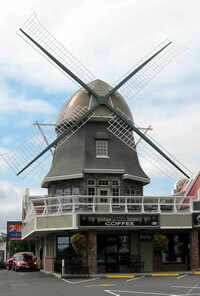 Lynden is within 50 miles to Vancouver, British Columbia, Canada for fun weekend excursions.